Epic II CL is an aqueous solution (water based) consisting of encapsulated Natural Vitamins, Amino Acids, Enzymes and Glyco Components. 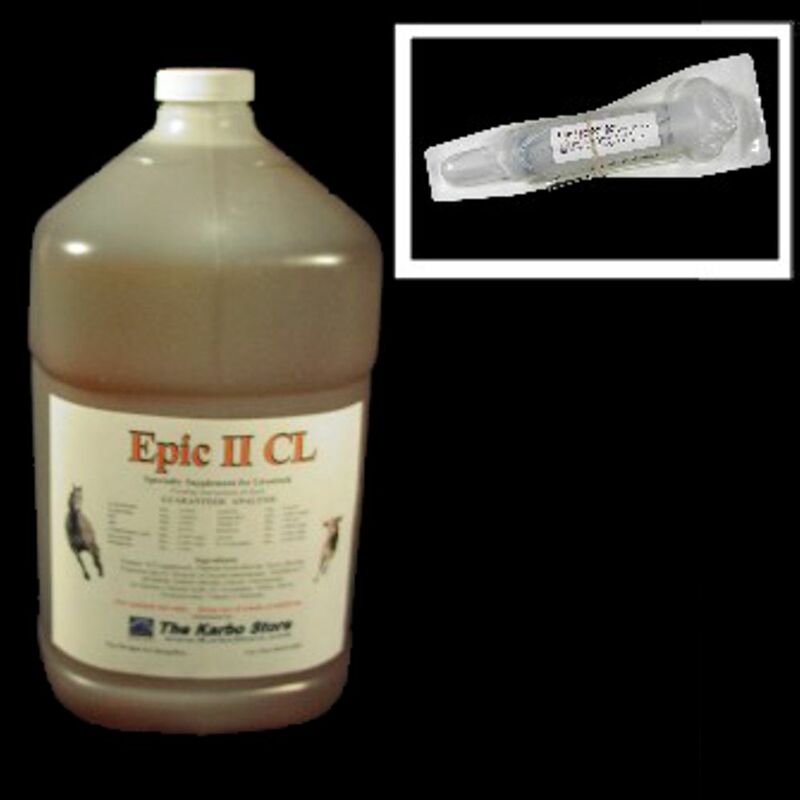 Epic II CL contains encapsulated enzymes that play multiple roles in the breakdown of plant and animal feed stuffs. 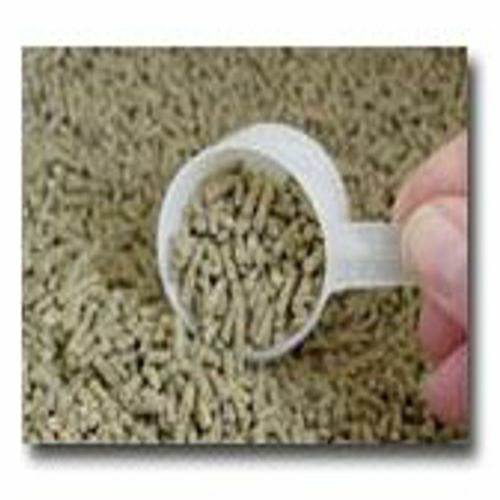 Adding these enzymes to the animal's feeds releases previously unavailable starches, lignins, proteins and minerals. The animal uses these formally missing nutrients to fortify its complex immune system. Epic II CL makes the feed more palatable and digestion becomes more complete. More complete digestion decreases the needed amount of feed for body maintenance, so rate of average daily gain is increased. 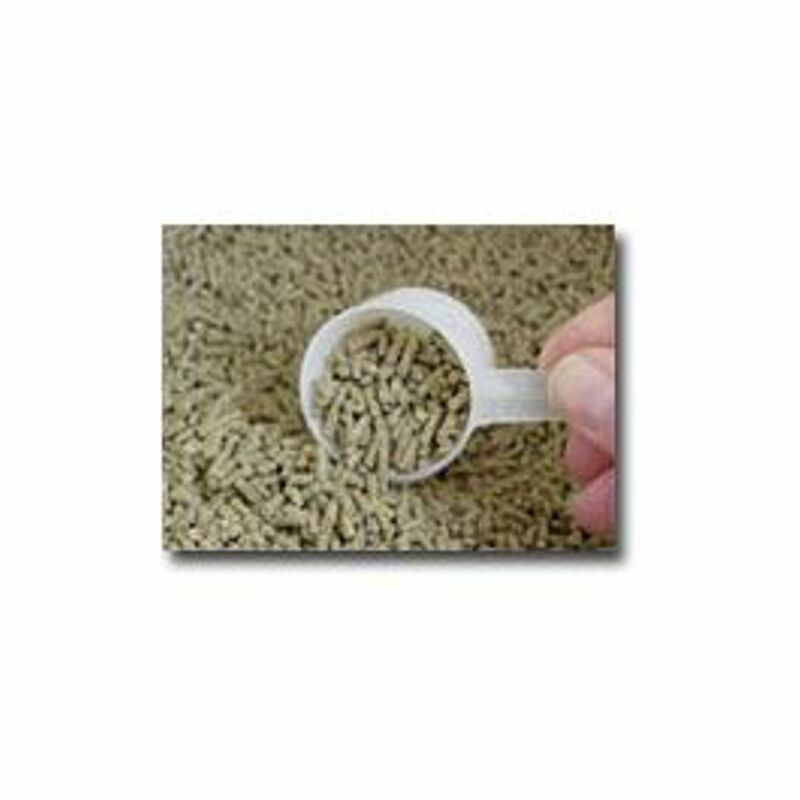 With regular use, there is an increases in an animal's overall performance. Therefore, its rate of gain increases. In females, fertility is increased. In dairy animals milk production has seen an increase. Animals feel better and seem to be more active. The formula also contains the proteolytic enzyme CL which fortifies the EPIC formula to bind ammonia released during protein and amino acid breakdown. High ammonia levels are toxic to bacteria necessary for complete digestion. The ammonia binding to the CL enzyme is reversible and the ammonia release takes place when the level of ammonia present drops to a low constant level. In the digestive tract the reversible binding of ammonia for amino acid synthesis can create an additional “pool” of ammonia for amino acid synthesis for bacterial protein growth, creating a more constant and uniform supply of non-ammonia nitrogen of bacterial origin to the small intestine. 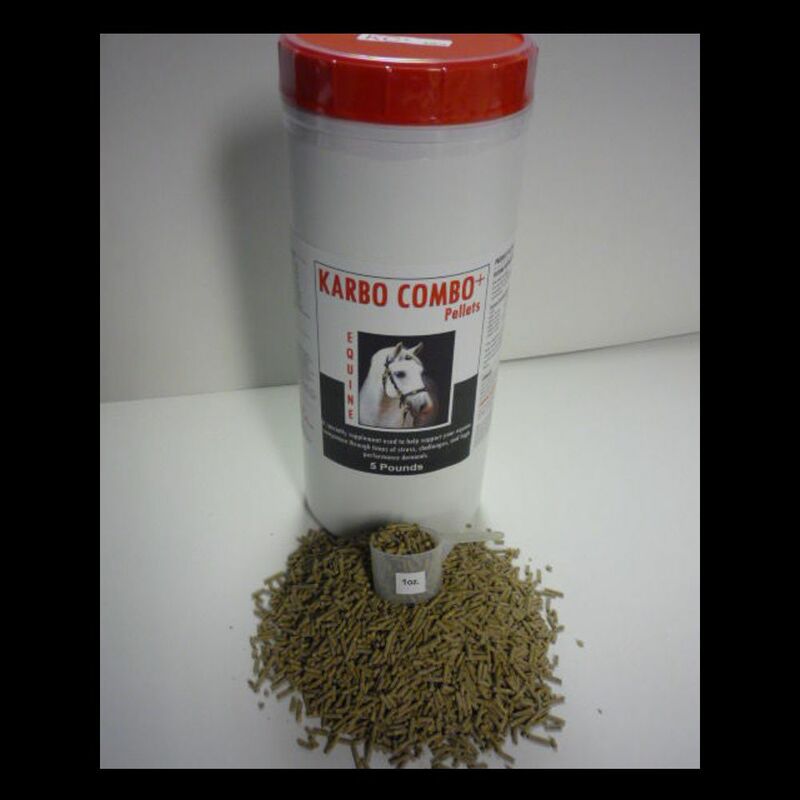 Karbo Combo has a profound effect on the immune system - it increases immune system response - therefore a healthier animal. To combat serious infection, use Karbo Pellets along with the Epic II product. Switch to the Karbo Combo product for maintenance. The primary active ingredients in the Karbo formula are "Mannan" and "Glucan" sugars. The Mannan sugars contain oligosaccharides. Many pathogenic bacteria, viruses, and toxins in the GI tract (and throughout the body as a whole) are attracted to and attach onto the Mannan sugars. Once attached to the sugars (oligosaccharides) they become inactive, cannot colonize, and are rafted out of the body. Karbo Combo also has encapsulated Natural Vitamins, Amino Acids, Enzymes and Glyco Components. The encapsulated enzymes play multiple roles in the breakdown of plant and animal feed stuffs.Adding these enzymes to the animal's feeds releases previously unavailable starches, lignins, proteins and minerals. The animal uses these formally missing nutrients to fortify its complex immune system. 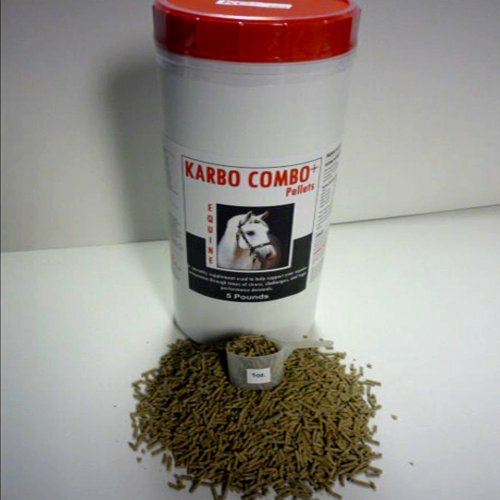 Karbo Combo makes the feed more palatable and digestion becomes more complete. More complete digestion decreases the needed amount of feed for body maintenance, so rate of average daily gain is increased. Dosage: 2 scoops twice a day for 30 days then 1 scoop once a day for 60 days. The Karbo products are excellent for treating EPM, bacteria, fungal infections, parasites, or any other kind of infection. The primary active ingredients in the Karbo formula are "Mannan" and "Glucan" sugars. These sugars contain oligosaccharides. Many pathogenic bacteria, viruses, and toxins in the GI tract (and throughout the body as a whole) are attracted to and attach onto the Mannan sugars. Once attached to the sugars (oligosaccharides) they become inactive, cannot colonize, and are rafted out of the body.